Don’t be dull! Mix it up! Do you like art, music, games or just a cool theme? Let our staff provide you with the very best. Our expert entertainers from artists, dancers and beyond will transform your event into a memorable experience! Entertainment isn’t just about music and if you choose a DJ versus a Live Band. Strolling entertainers such as jugglers, magicians, caricaturists and fire-eaters can be an essential element to any event. Want to go Hi-Tech? How about a video dance party featuring giant video screens along with a karaoke contest? We believe in a commitment to creating and developing memories to last a lifetime for our clients. Creating extraordinary events with innovative designs with a WOW, while saving our clients valuable time and money! Annie Occasion offers multiple levels of service, from creative consultations, design development, to design and implementation, vendor selection and on-site staffing. 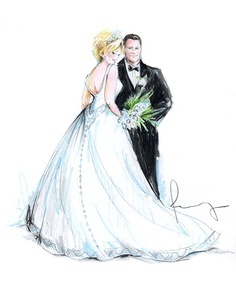 Onsite Art: Let our amazing artists keep you entranced as they create intimate moments or full room ambiance captured into a sketch or painting. Guests will be mesmerized by the entire time while seeing a blank canvas or paper bloom into life.